This summer I chased the spirit of Carl Laemmle all over the world, from where he grew up in Laupheim and Ichenhausen Germany to where he opened his first Nickelodeon in Chicago. Along the way, I met some remarkable people. 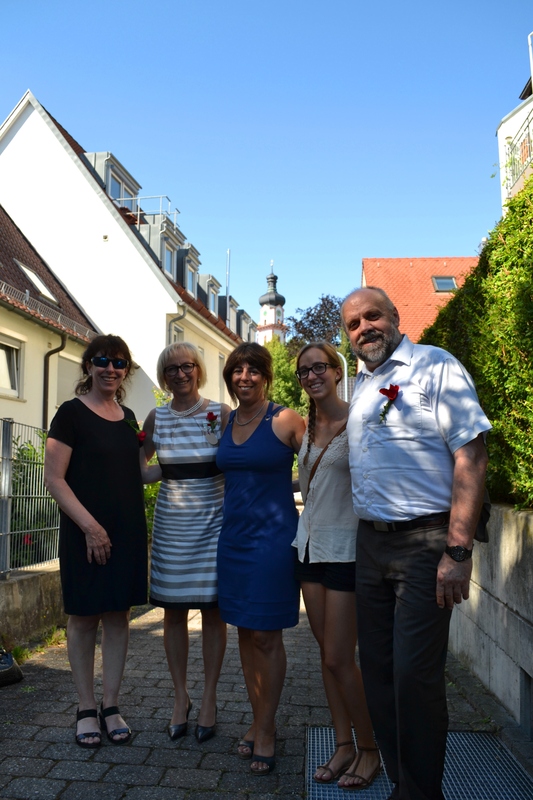 The mayor of Bihlafingen welcomed me into her home for a week and showed me around the place that still uplifts Carl Laemmle as the town hero. Two of the granddaughters of Hermann Obernauer, who Laemmle helped save from Dachau, joined me as well. I interviewed a man who has devoted himself to protecting and restoring the tombstones in the Jewish cemetery of Laupheim. In doing so he dutifully preserves life stories, regardless of race or religion. And there was no better time to visit than the annual weeklong festival of Heimatfest…or as the locals told me, “the real Octoberfest.” Many of these stories will not make it into The Moving Picture Man, but I will share them on this blog in the coming weeks. Next month I head to Los Angeles to complete my research. It is fitting that as I work on the story of one of Hollywood’s great pioneers, Butterfly in the Typewriter has been optioned to be made into a feature film. The screenplay is almost finished. So for you Toole fans, tell me, who should play JKT, Walker Percy and Thelma Toole? My new German drinking buddy, Gunter Stetter. Prost! As I looked at the pictures of Toole in BUTTERFLY, especially his Army picture, I was struck by how much Rainn Wilson looks like him.